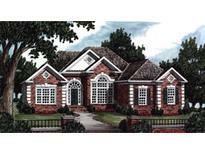 Find Lincolnton, NC New Homes for sale. View Photos, Maps and MLS Data Now! Convenient to Lincolnton, Maiden and Highway 16. North Lincoln School District !! ! MLS#3492846. Baker Realty & Construction. Cold Water Creek - Home Has a large 2 car garage. MLS#3491375. Century 21 Town & Country Realty. You will not be disappointed in the country feel of the neighborhood which is just 3 miles from the thriving downtown area of Lincolnton. MLS#3485560. Century 21 Town & Country Realty. Conveniently Located, Close to Hospital and Easy Commute to Charlotte and Surrounds! MLS#3477587. Ivester Jackson Properties. Eagle Glen - Come an visit the beautiful rolling hills and rural area right outside of Lincolnton but within city limits and minutes to Hwy 321 and the Industrial Park. MLS#3481988. Carolinas Realty. Eagle Glen - Come an visit the beautiful rolling hills and rural area right outside of Lincolnton but within city limits and minutes to Hwy 321 and the Industrial Park. MLS#3481997. Carolinas Realty. There is a 2 car garage and a Screened in porch all on a 1.5 A Lot Come see the Mallie Floor plan as it is being built. MLS#3482071. Carolinas Realty. Eagle Glen - Come an visit the beautiful rolling hills and rural area right outside of Lincolnton but within city limits and minutes to Hwy 321 and the Industrial Park. MLS#3481974. Carolinas Realty. Eagle Glen - Come an visit the beautiful rolling hills and rural area right outside of Lincolnton but within city limits and minutes to Hwy 321 and the Industrial Park. MLS#3481922. Carolinas Realty. Eagle Glen - Come an visit the beautiful rolling hills and rural area right outside of Lincolnton but within city limits and minutes to Hwy 321 and the Industrial Park. MLS#3481953. Carolinas Realty. There is a 2 car garage and a porch all on a .722 A Lot Come see the Rosewood Floor plan as it is being built. MLS#3482413. Carolinas Realty. There is a 2 car garage and a Screened in porch all on a 1.5 A Lot Come see the Mallie Floor plan as it is being built. MLS#3482429. Carolinas Realty. There is a 2 car garage and a Screened in porch all on a 1.5 A Lot Come see the Mallie Floor plan as it is being built. MLS#3482067. Carolinas Realty. Eagle Glen - Come an visit the beautiful rolling hills and rural area right outside of Lincolnton but within city limits and minutes to Hwy 321 and the Industrial Park. MLS#3481871. Carolinas Realty. Eagle Glen - Come an visit the beautiful rolling hills and rural area right outside of Lincolnton but within city limits and minutes to Hwy 321 and the Industrial Park. MLS#3481817. Carolinas Realty. There is a 2 car garage and a Screened in porch all on a 1.5 A Lot Come see the Mallie Floor plan as it is being built. MLS#3482053. Carolinas Realty. There is a 2 car garage and a Deck all on a 1.5 A Lot Come see the Brewster Floor plan as it is being built. MLS#3482060. Carolinas Realty. There is a 2 car garage and a Screened in porch all on a 1.5 A Lot Come see the Mallie Floor plan as it is being built. MLS#3482032. Carolinas Realty. Shiloh Run - Scheduled to be ready to move in by 03/26/2019. MLS#3478890. Marc 1 Realty. Builder to provide one year home warranty. In house financing options available. MLS#3475053. Native Asheville. Don't miss this opportunity to own a little piece of heaven in the country. MLS#3477229. Lake Norman Realty, Inc..
Crestview - Walking distance to downtown approximately seven blocks. $219,900 MLS#3466848. Dean's Appraisal & Real Estate Service. Estimated completion date is the end of April. MLS#3464113. Lake Norman Realty, Inc..